Former Boston Red Sox Catcher, Bob Scherbarth died January 31, 2009 according to the Villas County News. As you are reading this, you might scratch your head to remember the name, as it doesn't exactly sit among the likes of Doerr, Pesky and Williams. 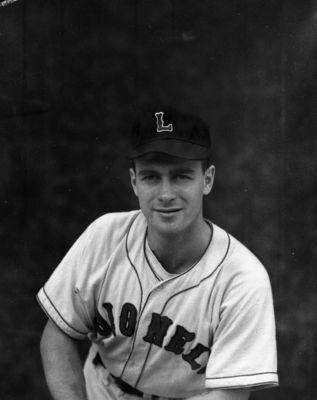 Scherbarth's career lasted exactly one inning, appearing as a defensive replacement for Birdie Tebbets on April 23, 1950. Scherbarth entered the Boston Red Sox organization in 1946 in Class B Roanoke, and retired from baseball after splitting the 1952 season with Class A Scranton and Class AA Birmingham. Scherbarth is part of a handful of major league position players who never had an at-bat in a Major League game. While Scherbarth's career may equate to a "sip of coffee," he was able to do what many men aspire to do, and that is to get a taste of the majors. Scherbarth will forever be a part of the select group that can call themselves major league baseball players. I attempted in late 2008 to interview him about his experiences that day, to find out if he knew that was going to be the only chance he had in the "big show." Sadly, Scherbarth was recovering from a stay in the hospital and wasn't up to taking the interview. He told me to try back in a few weeks, and my hesitation led me to find his number disconnected and the subsequent obituary detailing his passing. A private service was held to honor Scherbarth in Presque Isle, WI.